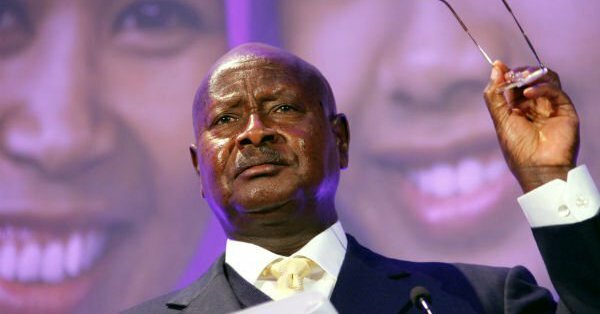 KAMPALA – The newly announced salary structures of public servants that was tabled by the Ministry of Public Services has revealed that although a number of public servants are set to smile their way to the banks, this won’t be the case with President Yoweri Museveni and those who would unseat him after no salary increment has been allocated to the office holder. Tabled by State Minister for public service David Karubanga and permanent secretary in the ministry of public service Catherine Bitarakwate the list is meant to harmonise the pay gap that has dogged public service. In the breakdown, Museveni will continue earning Shs3.6M and which brings his annual income to Shs43.2M but the future projections indicate that if Museveni continues holding onto power longer, he will likely receive Shs30M monthly based on future salary projections. The development comes at a time when President Museveni was quoted in January 2017 when he declared that he is not a servant or an employee of anybody but a person who fights for himself and his beliefs. “I am not an employee. I hear some people saying that I am their servant; I am not a servant of anybody. I am a freedom fighter; that is why I do what I do. I don’t do it because I am your servant; I am not your servant. I am just a freedom fighter; I am fighting for myself, for my belief; that’s how I come in. If anybody thinks you gave me a job, he is deceiving himself. I am just a freedom fighter whom you thought could help you also,” Museveni was quoted in Daily Monitor in Masindi Town while presiding over NRA/M Day celebrations to mark his 31 years in power. His remarks were in response to demands by teachers and health workers to have their salaries increased with the President warning the two groups from being money-minded and scouting for jobs. “For us we stay in grass-thatched houses and work. Lack of good accommodation is an employee mentality, personally I am not an employee…,” Museveni said. On the other hand, the Vice President will continue earning Shs11,180,000M and Edward Ssekandi too will not have his salary increased but retain the Shs134,160,000M he earns annually with future projections indicating that the salary of the Vice President would hit the Shs27.4M mark in the future. The Prime Minister, Deputy Prime Ministers, Ministers and State Ministers are to continue earning Shs11,189,000M with future projections in this category set to range between Shs25M-Shs17.4M monthly. The Senior Presidential Advisor is to earn Shs2.880M from the Shs2.382M, Resident District Commissioners (RDCs) will have their salary increased from Shs2.293M to Shs2.880M while Deputy RDCs will earn Shs1.282M to Shs2.1M. The Director of Public Prosecution had his salary increased from Shs5.570M to Shs15M while Principal State Attorney’s salaries will run from shs2.9M to Shs3M, Senior State Attorney will continue earning Shs2M and state Attorney will earn Shs1.7M they have been earning.